were pretty limited. I studied water-color, oils, acrylics...always two dimensional. In high school I learned to draw people by imitating the works of Brian Froud and others...I have always loved the world of fantasy! In 1997, I discovered the book “Fantastic Figures” by Suzanna Oroyan...and my two dimensional world turned into a three dimensional one, as I discovered Polymer Clay! 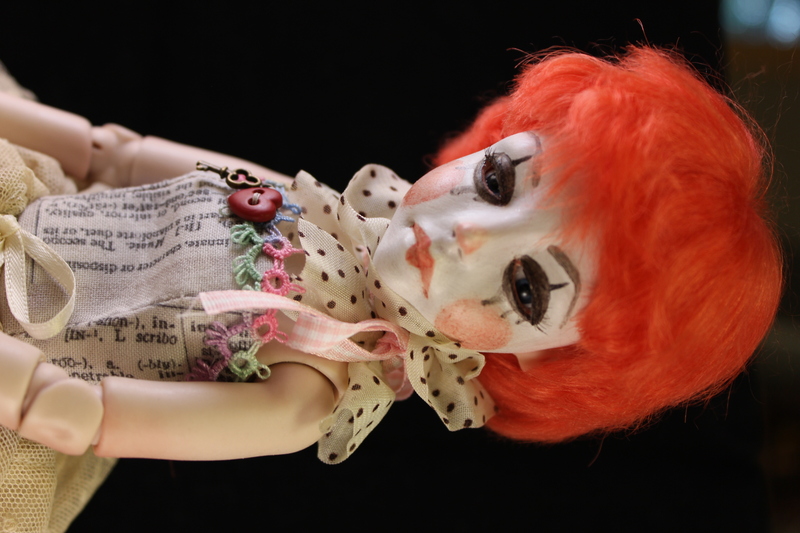 I have been sculpting original art dolls since that time and I love the medium. Polymer clay allows me to use all of my skills as an artist. I still sculpt my original dolls in polymer and then I make a plaster cast. I ﬁnish all my dolls now in porcelain as a ﬁnal medium. 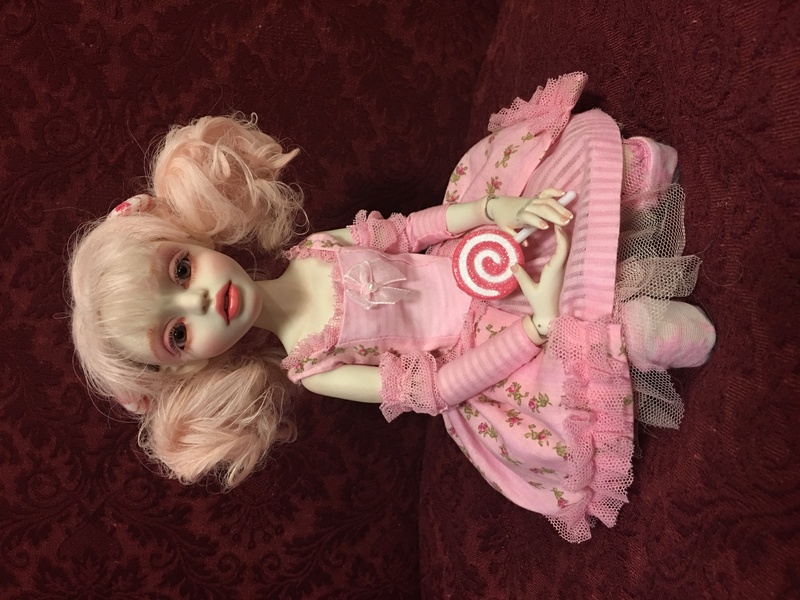 All my porcelain dolls are fully articulated and known as BJDS (ball-jointed dolls). 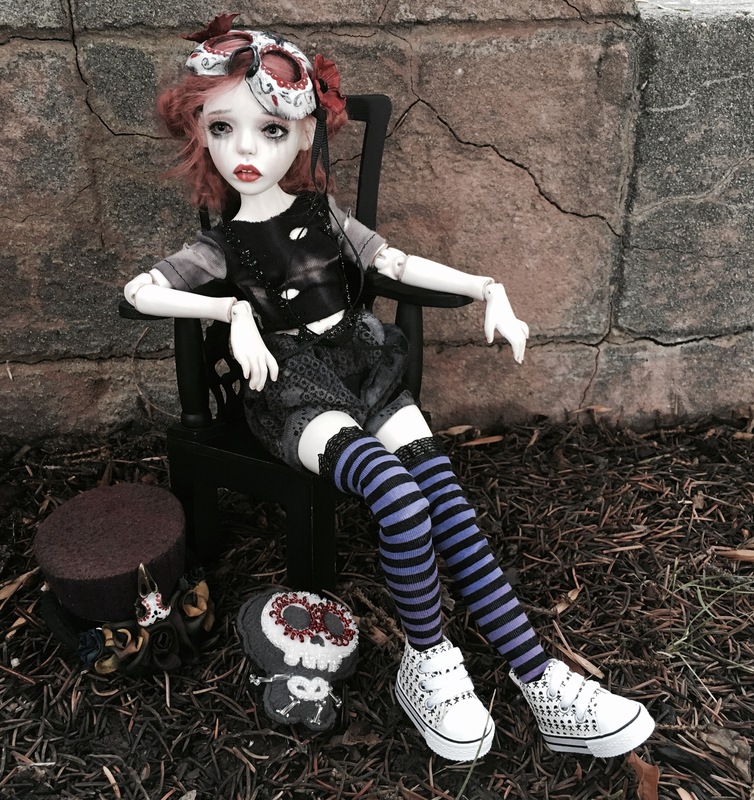 My dolls are painted in a multimedia style. 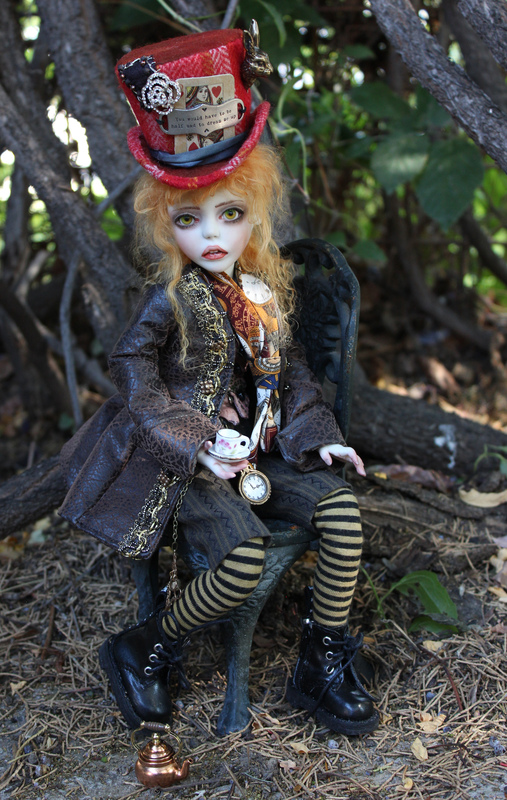 I make original one of a kind dolls and very limited editions. Each doll is produced soley by me in my log cabin studio in Montana. My work features primarily young teens and focus on children’s subjects such as fairy tales and folklore. I am also very interested in the pop-surrealism movement and many of my works have a dark gothic edge. I have taught many classes on classical sculpting and OOAK dolls. I currently teach on aforartistic.com. My dolls have been featured in Dolls, Haute Doll, Art Doll Quarterly and countless galleries and boutiques worldwide. I am a member of ODACA (Original Doll Artists Council of America) and PDMAG (Professional Doll Makers Art Guild) I live in Montana with my husband and two beautiful children.